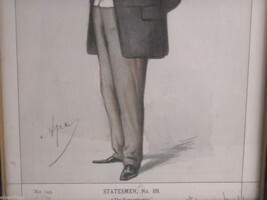 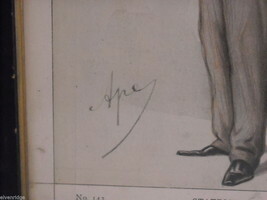 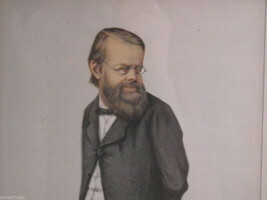 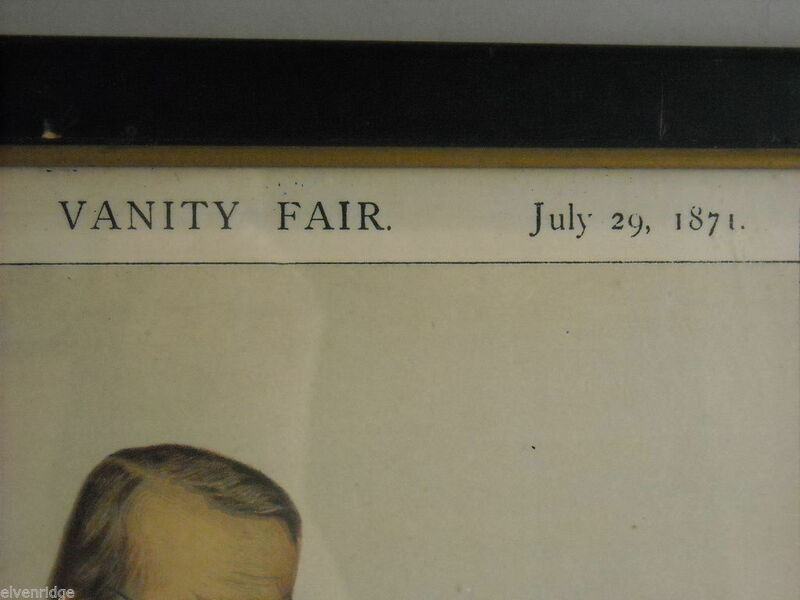 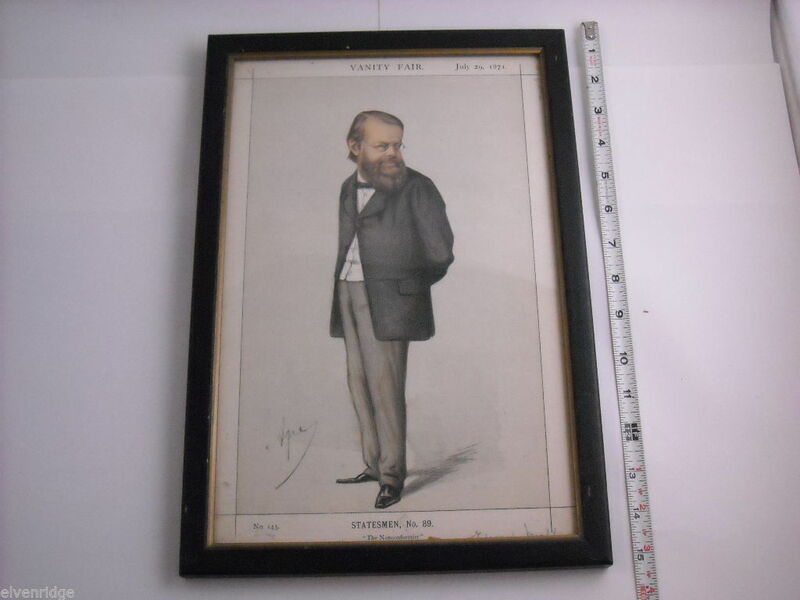 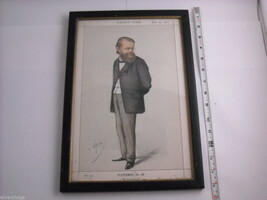 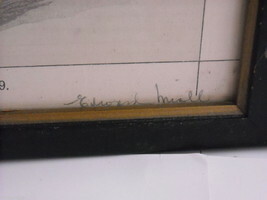 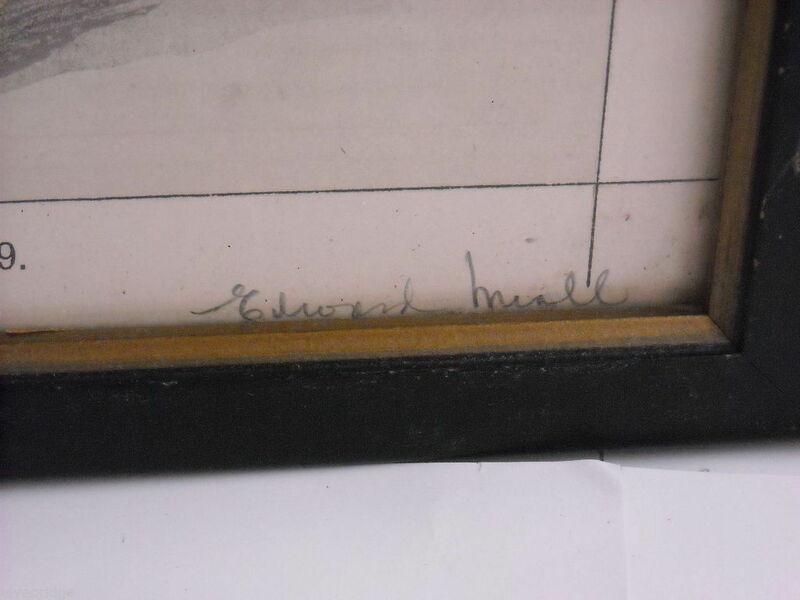 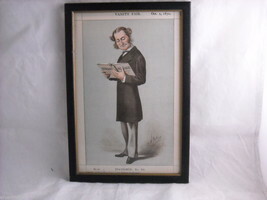 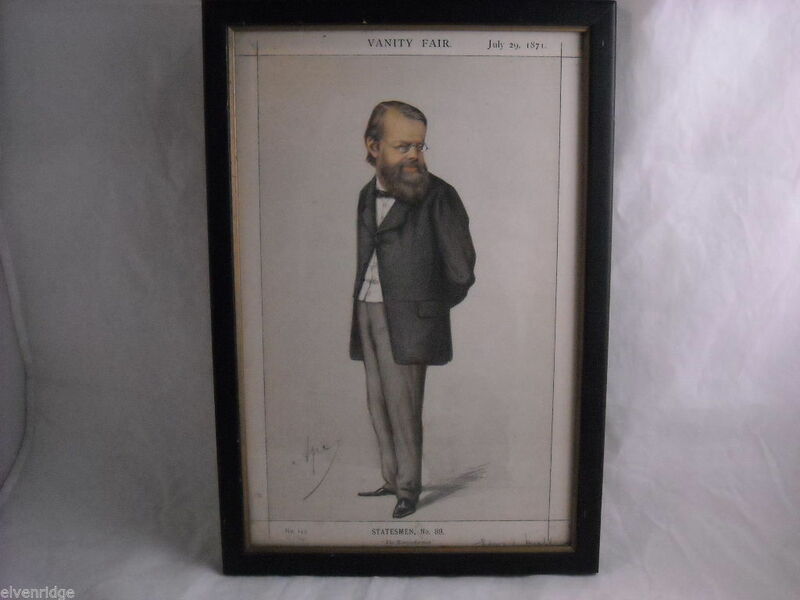 This Vanity Fair print is of Mr. Edward Miall, M.P. from July 29, 1971. 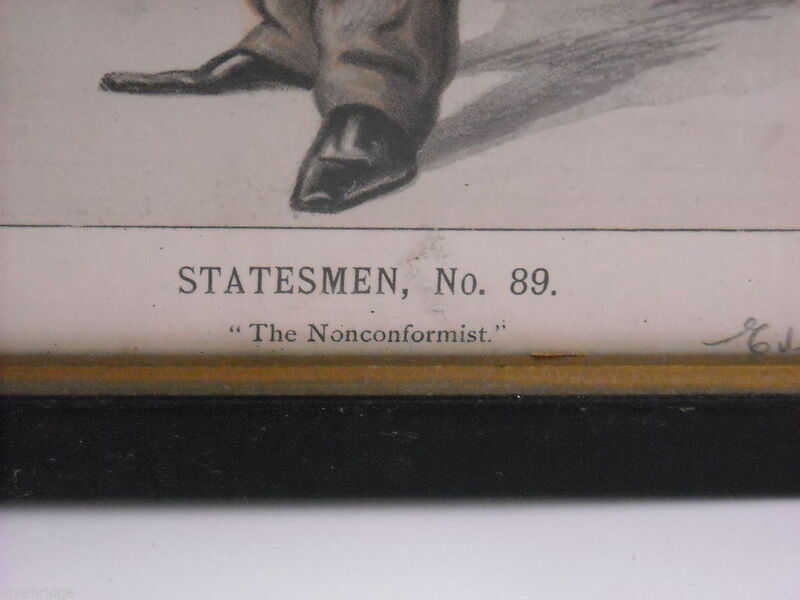 Stated on the front is "Statesmen No.89 'The Nonconformist.'" 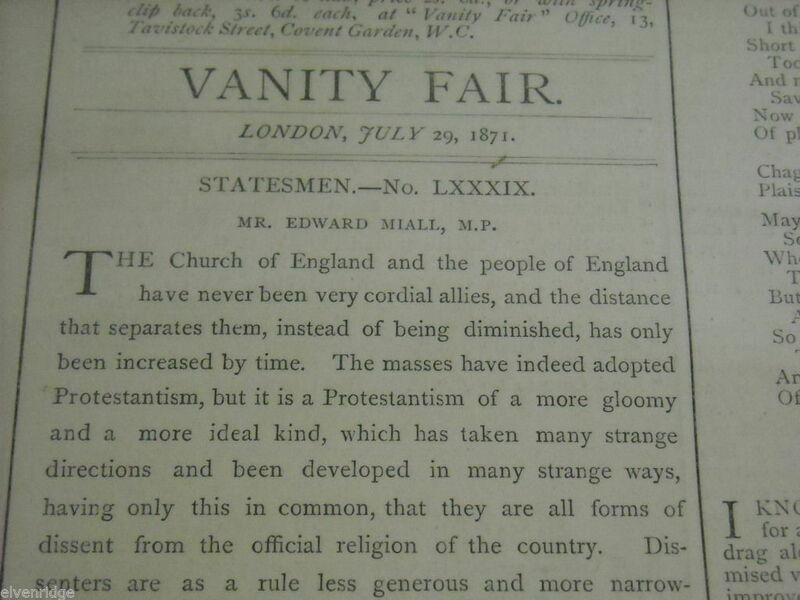 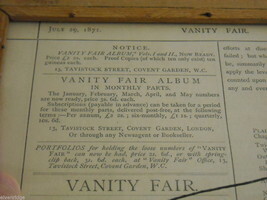 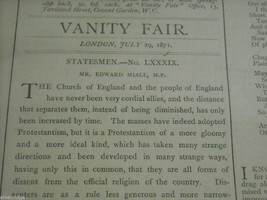 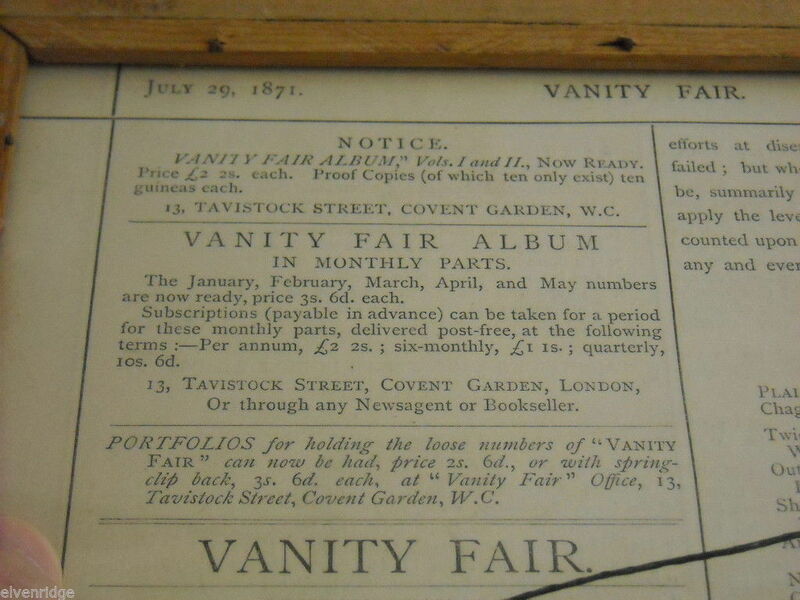 There is a mini biography on the back of Mr. Edward Miall and numerous articles from a page of Vanity Fair by different authors. 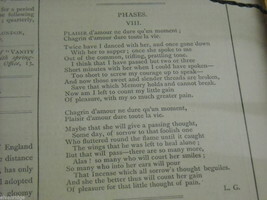 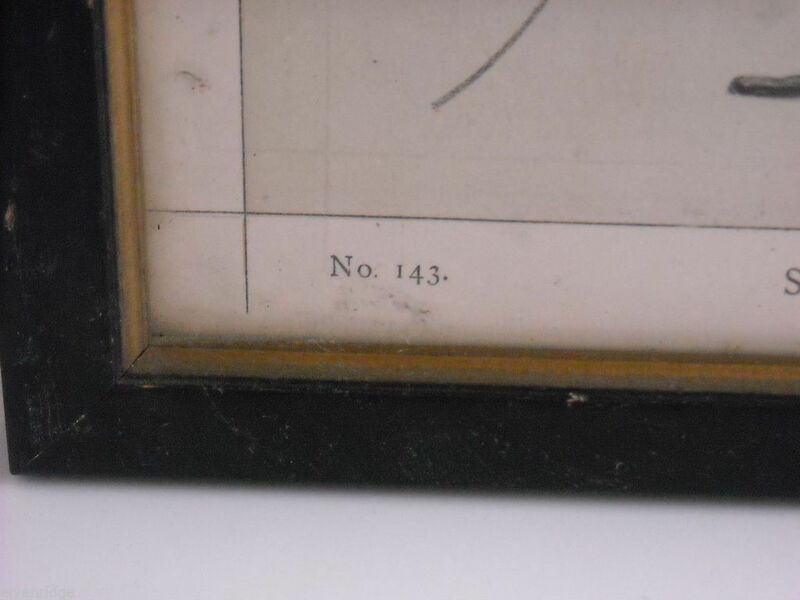 Print is held within a black frame with gold inside trim. 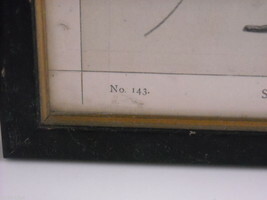 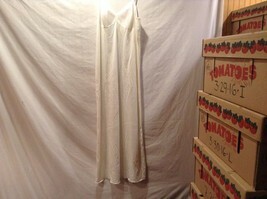 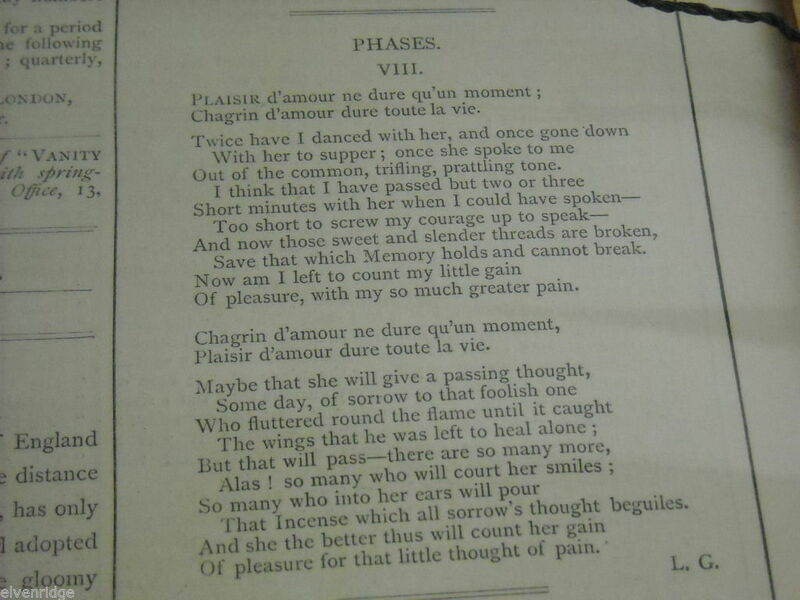 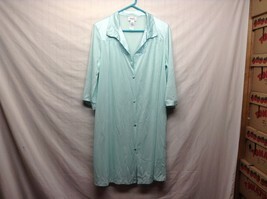 Measures 15"(H) x 10"(L) x 3/4"(W).